Pier Luigi Pizzi first worked as a set designer in 1951. 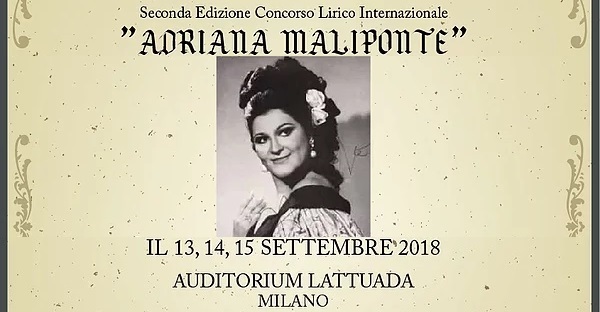 For twenty years he worked at the renowned Compagnia dei Giovani together with Giorgio De Lullo, Romolo Valli and Rossella Falk, creating almost all of the sets and costumes for that company’s productions. In the 1960s the Compagnia dei Giovani visited Moscow and Leningrad on tour. 1977 saw Pizzi’s debut as an opera director with Mozart’s Don Giovanni at the Teatro Regio in Turin (with Ruggero Raimondi in the lead role). For over sixty years the stage director has worked with major theatres and at the most prominent festivals. He has won numerous prestigious international awards, among them the Ordre de la Légion d’honneur, the Ordre des Arts et des Lettres (Officier), the Order of the Holy Cross of the Italian Republic (Honorary Cavalier), the Order for Services to Culture of the Principality of Monaco (Commander, 2006), the Order of St Agatha of the Republic of San Marino, Milan’s order of Golden Ambrosia and Florence’s Order of the Golden Florin. 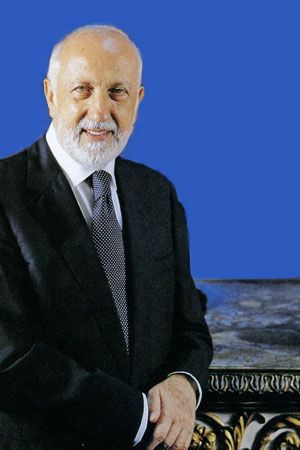 Pizzi also holds the title of Honorary Doctor of the University of Macerata and is a member of the Verona and Parma Academies of Fine Arts and a recipient of the Life for Music award. 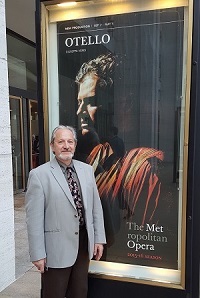 In 1987 Pier Luigi Pizzi’s production of the opera Aida opened the first season at the Wortham Center in Houston, while in 1990 his production of Les Troyens opened the season at the Opéra Bastille in Paris. Since 1982 Pizzi has been involved in the Rossini Festival in Pesaro on an annual basis. It is thanks to his efforts that many of Rossini’s operas have been revived, among them Tancredi, Guillaume Tell and La pietra del paragone. In 2000 the stage director won a seventh Abbiati Prize in the category “Best Opera Production of the Year” for Britten’s Death in Venice (Teatro Carlo Felice, Genoa). At the opening of the Teatro delle Muse in Ancona there was a performance of Pizzi’s production of Idomeneo, and he later returned to that theatre to stage Henze’s Elegie für junge Liebende and Hindemith’s Neues vom Tage. 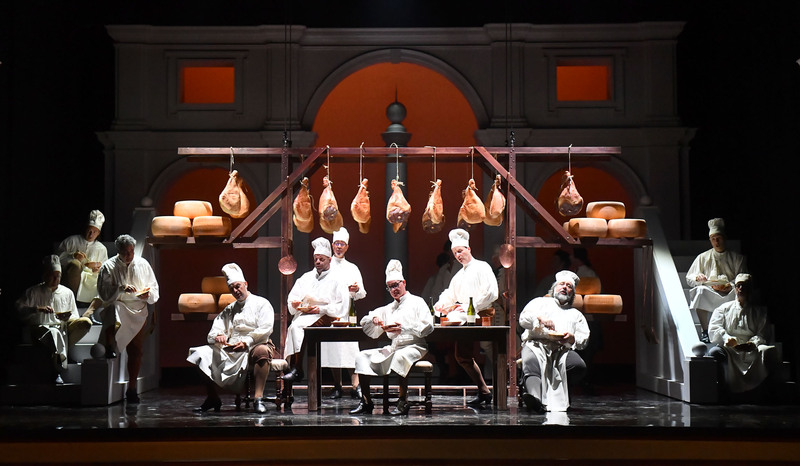 At many theatres throughout the world Pizzi has staged his production of Handel’s Rinaldo: this production has been seen in Reggio Emilia, Paris, Madrid, Lisbon, Geneva, Venice (La Fenice) and Milan (La Scala). 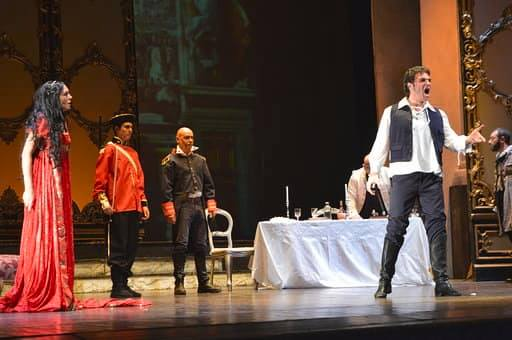 The stage director has also produced La traviata, A Midsummer Night’s Dream and three operas by Monteverdi at the Teatro Real in Madrid in addition to offering his own new and revolutionary reading of Verdi’s Un ballo in maschera at the Piacenza Expo exhibition centre. 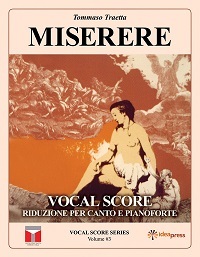 The latter production was subsequently performed at the Teatro Massimo in Palermo and at the Sferisterio arena in Macerata. 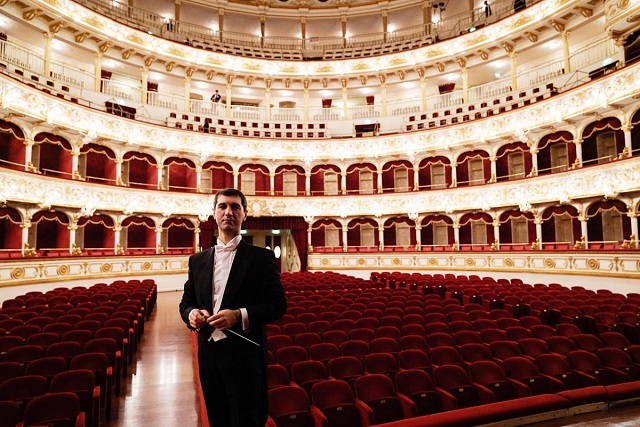 Pizzi founded an opera festival in Macerata, of which he served as Artistic Director from 2006 to 2011. During his tenure the festival’s repertoire became enriched with many baroque and contemporary operas. The Opéra de Monte-Carlo performs Pizzi’s production of Il viaggio a Reims, staged to mark the occasion of Prince Albert II’s accession to the throne. In December 2004 the Teatro alla Scala opened its season following reconstruction work with Pizzi’s production of Salieri’s opera Europa riconosciuta. This opera had never been staged between its premiere right up to 2004. Pizzi has made a tremendous contribution to the revitalisation of La Scala’s theatre museum. Pizzi dedicates much of his time and efforts to organising various exhibitions, among them Versailles and Antiquity in Paris. In 2004 Pizzi staged the opera Les Contes d’Hoffmann at the Sferisterio arena and the operas Les mamelles de Tirésias by Poulenc and Le Bel indifférent by Tutino at the Teatro Lauro Rossi in Macerata. 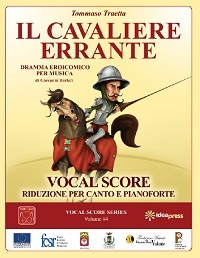 Productions by the stage director in recent years include Donizetti’s Maria Stuarda, Lehár’s Die Lustige Witwe and Marschner’s Der Vampyr at the Teatro Comunale di Bologna and the Teatro Massimo in Palermo, Riz Ortolani’s Il principe della gioventù at La Fenice in Venice and the Teatro Arcimboldi in Milan, Reynaldo Hahn’s Mozart (directed by Sacha Guitry) at the Festival dei Due Mondi in Spoleto, Britten’s The Turn of the Screw at La Fenice in Venice, Adès’ Powder Her Face in Bologna and Verdi’s Un giorno di regno, I vespri siciliani and La battaglia di Legnano at the Verdi Festival in Parma. 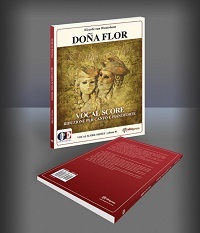 Recently Pizzi completed work on the Mozart and Da Ponte trilogy. 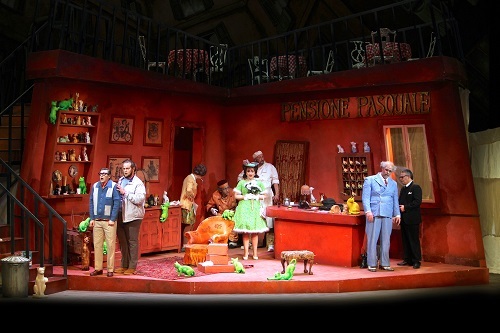 Since 1968 the stage director has frequently worked with the Opera di Roma. His first production there was Verdi’s opera I due Foscari. He later returned to stage the operas Macbeth, Alceste, Faust, Mosè in Egitto, La Vie parisienne, Diabły z Loudun, La battaglia di Legnano, Die Zauberflöte and Attila. 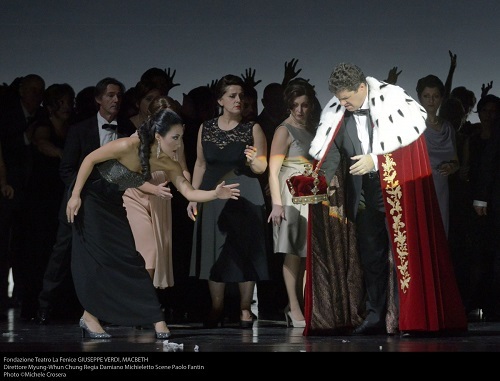 One of his most recent productions at the Opera di Roma was Ponchielli’s La Gioconda. Pizzi rarely works in dramatic theatre, although his 2007 production of Una delle ultime sere di Carnevale after Goldoni’s play was well received by the critics as one of the best of the year in addition to garnering several awards. This production has also been performed in Moscow. 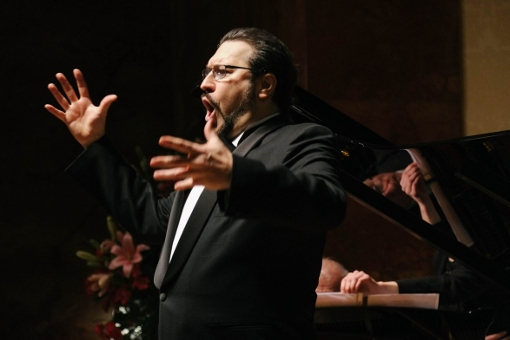 Pizzi recently made his debut at the Bolshoi Theatre in Moscow with Bellini’s opera La sonnambula and staged La Gioconda at the Opéra Bastille in Paris. In October Pizzi took part in the opening of the Astana Opera (Kazakhstan). 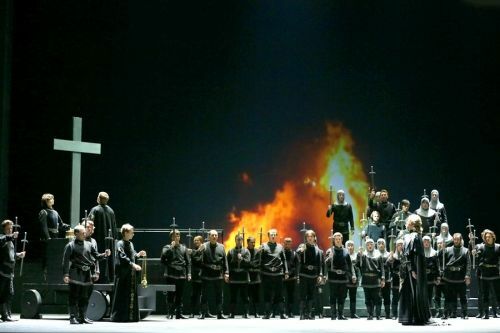 There he presented a production of the opera Attila (conducted by Valery Gergiev). Ferrando, a confidant of Count di Luna, tells of tragic events that occurred many years ago. The old Count had two young sons. One morning a terrifying gypsy woman was found at the cradle of the youngest. The boy began to wither away – the witch placed a curse on him. She was caught and burned, but the gypsy’s daughter took revenge: she abducted the child and he has never been seen since. Where the witch was executed the burnt bones of a child were found. The old Count did not live long after that. Not believing in the death of his youngest son, he made the eldest – who is the present day Count – swear never to stop looking for his missing brother. Every search, however, has been in vain. The armed retainers are ill at ease: at midnight the ghost of the dead witch haunts the castle, taking on various forms. A bell rings in the distance – it is midnight. Gripped by superstitious terror, the servants flee.Leonora awaits the troubadour Manrico in delighted apprehension. She tells Ines of how she first met him at a competition of knights. Since then she has not seen the troubadour for a long time – war separated them. In vain Ines soothes Leonora – the latter has given her heart to Manrico forever. Count di Luna appears. He rushes towards Leonora’s balcony, but the troubadour’s song makes him freeze. Leonora hurries to meet Manrico. A quarrel breaks out between the rivals. Leonora implores the Count to have mercy on Manrico but, filled with envy, he unsheathes his sword and prepares to fight. A gypsy camp in the hills near Biscay. Dawn. The gypsies set off for work singing songs. Only Azucena is sad. Left alone with Manrico, she tells how her mother was burned on the orders of Count di Luna. Azucena, having abducted the Count’s son, then resolved to throw him into the same fire but, driven mad with grief, she made a terrible mistake – she burnt her own child. Manrico is appalled at what he hears – does this mean he is not Azucena’s son? The gypsy calms him, reminding him she loves him. Manrico must take revenge for her and show Count di Luna no mercy as he did in their recent duel. The troubadour himself cannot explain his sudden surge of compassion: he was ready to finish off the prostrate count, but some mysterious voice stopped him. Now, however, he will be merciless. A messenger gives Manrico a letter from his friend Ruiz: Leonora, having received misleading news of Manrico’s death, has resolved to seek seclusion in a convent. In vain Azucena tries to restrain her son – he cannot live without Leonora. Believing the troubadour to be killed, Count di Luna plans to abduct Leonora from the convent – now no-one will come between them. Leonora bids a fond farewell to Ines; she does not lament her fate: better the convent than life without Manrico. Together with the nuns she approaches the altar. Suddenly their path is barred by Count di Luna and his retainers: instead of the convent, they will be married. Manrico’s arrival stuns everyone. The Count is furious – his enemy has risen from the dead. Leonora cannot believe this merciful deliverance. Ruiz rushes in with the armed retainers and forces the Count’s servants to retreat. The camp of Count di Luna. The soldiers are preparing to besiege the castle where Leonora and Manrico have taken refuge. The Count, tormented by jealousy, hopes to separate them once more. The soldiers bring in Azucena who has been captured as a spy. Ferrando recognises her to be the gypsy who once abducted Count di Luna’s younger brother. Azucena calls on Manrico in despair. The Count’s malicious joy knows no limits: he will not only avenge his brother but will execute the mother of his worst enemy into the bargain. A shadow of alarm falls over the long-awaited marriage of Leonora and Manrico: the castle is surrounded by enemies and a bitter struggle lies ahead. The danger holds no fear for Manrico; Leonora’s love hardens his resolve. The anxious Ruiz relates that Azucena has fallen into the hands of Count di Luna and that di Luna is threatening to have her burned alive. Manrico is filled with determination to save his mother; his call inspires the soldiers to seize the castle. The troubadour languishes in a tower, imprisoned. Leonora is prepared to save her beloved at any cost. In despair she begs the Count to free Manrico, but her entreaties only serve to increase his wrath and jealousy. At last, Leonora opts for the last remaining possibility: she swears she will become the Count’s wife, knowing that death will free her from the pledge she has made. While the Count gives his orders to the prison guard, Leonora swallows the poison hidden in her ring. Joy fills the young woman’s soul – now Manrico is saved. In the gloomy cell Manrico and Azucena await death. Her troubles have broken down the gypsy woman’s spirit; she is tormented by terrible visions, and she sees the fire on which her own mother was burned alive. Manrico’s tender care appeases her; falling asleep, she dreams of her native mountains and her former carefree life. Leonora enters. She has brought Manrico his freedom: the prison doors are open to him, but she cannot go with him. Manrico furiously upbraids his beloved – she has forgotten her vows. He needs no such freedom, purchased at such a price. It is only when the poison begins to take effect that Manrico realises Leonora’s heroic self-sacrifice. Coming in, the Count sees his hopes are futile. He orders Manrico be executed. Azucena awakes in terror and tries to stop the Count – but it is too late, the execution has been carried out. The gypsy woman then reveals her frightful secret to the Count: he has killed his own brother. Her mother is now avenged. This entry was posted in Music, OPera and tagged Giuseppe Verdi, Il trovatore, Mariinsky Theatre, Moscow, Pier Luigi Pizzi, Salvatore Cammarano. Bookmark the permalink.